Capital.com offers investors an award winning trading platform that can access multiple financial markets including the new and exciting cryptocurrency market. Capital.com is a unique forex broker. The company, in fact, offers trading CFDs of multiple asset classes. A typical exchange broker tends to emphasise FX as it’s considered the easiest market for beginners to trade in. Our Capital.com review was conducted in the same way as all of our exchange broker reviews. If you’ve asked yourself questions such as “Is Capital.com safe?”, “Is Capital.com really for me?”, or even “What is Capital.com?”, this review should address your concerns. We’ve looked into a multitude of factors including its regulator, funding options and fees. First we looked at the company itself and how it got started, when it started, and where it’s based etc. Then we found out who it’s regulated by to ensure that it’s a credible broker. Then we moved on to how Capital.com stands out in the marketplace and particularly how it compares with our top exchange broker for 2018, eToro. We also looked at advantages and disadvantages and offer a conclusion including our verdict on Capital.com. Our Capital.com review begins by looking at the company itself. The firm has a presence in over 51 countries (as of October 2018). As a result of the company’s innovation and willingness to do something different in the marketplace, Capital.com is a unique platform that introduces beginners to CFD trading, enables them to access global financial markets from their mobile devices. Capital.com offers numerous markets, including a number of cryptocurrencies (including Capital.com Bitcoin if you were looking to buy Bitcoin and Capital.com Ethereum). The Ethereum cryptocurrency is the most competitive coin outside of Bitcoin. The app offers the opportunity to invest in cryptocurrencies so you can trade the likes of Bitcoin, Ethereum, Litecoin, and Ripple without actually owning them. You get higher liquidity on CFDs than actual cryptos, as well as improved security. And it’s all accessed through Capital.com’s personalised platform. The company has a mission and that mission is to make the financial markets more engaging, useful, and accessible. With its award-winning trading platform, it makes use of patent-pending technologies to revolutionise the world of trading. Capital.com also provides and AI-driven app and a web platform designed to make trading other financial products accessible to new investors. We couldn’t have undertaken a Capital.com review without looking at the fees involved including trading, depositing, and Capital.com withdrawal fees. Account holders can trade on commodities, indices, shares, and CFDs. Capital.com fees for each are updated in real-time. The firm doesn’t charge any commission on trades. Overnight fees are only charged if a trade is left open overnight. When either opening or closing a trade, Capital.com trading customers pay a spread that’s equivalent to the difference. Your trading costs are determined by the spread and overnight premium (i.e. your margin capital borrowing rate). The spread is variable and may factor in the liquidity in the external markets and the competitor pricing. They are set in absolute discretion, since Capital.com acts as a market maker. The spreads are relatively competitive, however around 0.8- 1.1 USD on the S&P 500 index, 46c for Apple Stock, and 30c on Gold. Depositing funds into your Capital.com app account is a secure and easy process and there are a decent number of payment options available. You can deposit funds using AstropayTEF, 2c2p, Trustly, Webmoney, QIWI, Przelewy24, Multibanko, Giropay, iDeal, Sofort, bank wire transfer, and credit and debit cards. You’re covered no matter which payment method you prefer with a combination of traditional methods and some of the more popular wallets. 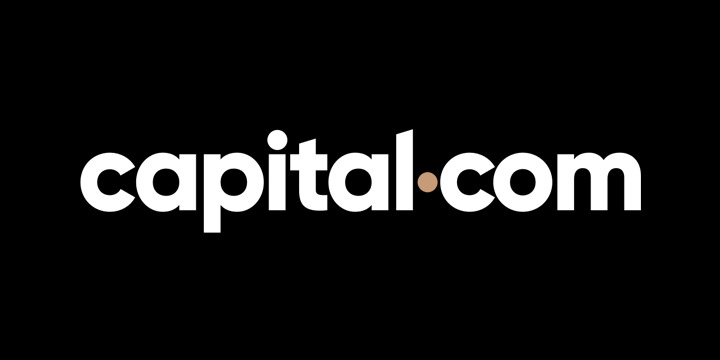 Capital.com also offers deposits using the most popular digital wallets, Neteller and Skrill. The initial deposit has been set at £100, which is a decent level. Bear in mind, however, that the company offers CFDs on asset classes as opposed to FX, so it may be more appropriate to make a larger despot. Minimum deposits should only really be a factor for new traders who are looking to experiment. Veterans would always advise making a large deposit in order to execute a more long-term strategy. The user can choose an account currency in GBP, EUR, PLN, or USD. Users can contact the support desk in a number of ways. They can use the contact form on the website or via phone, messengers, chats and emails. Our Capital.com review found the company’s customer support to be one of the better aspects of their product, as you don’t have to wait long before an adviser is free to address your concern. Email support requests are responded to within 24 hours. Capital.com also have offices located in the UK and Gibraltar. A Capital.com app and web platform can communicate with customer support via phone, messengers, chats and emails in 13 different languages. The website also provides a comprehensive list of FAQs. In addition to it, Capital.com supports customers with a wide range of educational resources on its website and in the secondary app called Investmate. It intelligently integrates with the main app in a selection of the educational content. Once you have your Capital.com login information, you can access all of this content and start learning. In the app you can find short lessons of two to four minutes offer traders an introduction to the financial markets, leverage, margin trading, derivative trading, and financial instruments. Further, the cryptocurrency trading introduction e.g. Capital.com Bitcoin and Capital.com Ethereum trading, along with other options such as the Ripple coin and and the Litecoin cryptocurrency. It also offers detailed explanation of CFDs, provides any Capital.com mobile trader with a solid foundation for their new careers. The training provides a glossary of trading terms, along with four courses, each of which provides several text-based lessons. This broker platform’s most notable feature is the Capital.com app, which takes advantage of artificial intelligence technology, presenting you with new items most relevant to your trading. The Capital.com trading app includes a “News”, which promises to deliver the most relevant and latest news. News (essentially an algorithm) tracks a trader’s behaviour to find trading biases and to provide relevant news items and training materials to each user depending upon their skill level and trading patterns. The idea comes from economic behavioural science. Capital.com, however, is the first of its kind to address it directly. The Capital.com trading app is available on both of the major operating systems iOS and Android. While it lacks some analytical features of desktop versions of other exchanges and brokers, it’s more than enough for new traders. One of its more impressive features is its 2-day line chart, a modern method of scanning the dynamic of a market. While this is great for today’s market, there’s still an advantage in being able to view a big-screen chart. More experienced traders can take advantage of more than 70 technical indicators using the Capital.com app or web platform. If, before reading this review, you were asking yourself “what is Capital.com?”, you now have a thorough understanding of what it entails. Just to recap, the firm is regulated by CySEC, which provides a great deal of credibility. The business appears to be favourable to those with limited experience of the financial markets, especially considering its secondary app, Investmate, which provides a wealth of training content. Trading conditions, with regards to spreads, are good for a CFD provider. Overall, this Capital.com review concluded that the exchange broker offers a suitable entry point to the financial markets. If you’re looking to start trading, you may also wish to consider giving our eToro review a read, as this was our winning exchange for 2018 out of all those we reviewed. If you register at the eToro website now, you’ll get all of the best deals, so it’s a good time to get on board. Capital.com is very convenient in terms of price updates and market data. No delay, which is very good as CFD trading requires good speed.